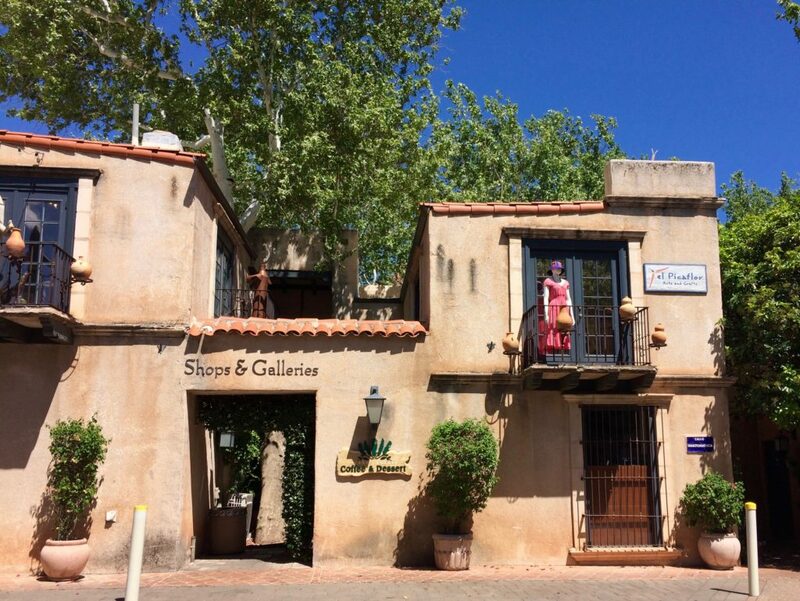 An afternoon exploring beautiful Tlaquepaque in Sedona is a pleasure unbounded by age. 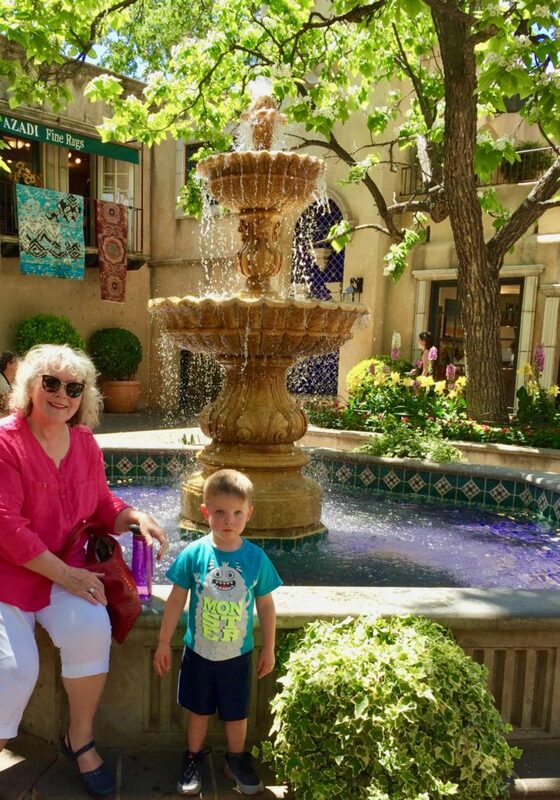 My three-year-old grandson enjoyed the fountains, sniffing the flowers, and finding a new vista around every corner. We enjoyed how the aesthetic experience completely overlay the structures that were obviously built for commerce. The shops and their unique contents were available to us, but there was no pressure to buy. Nor did volumes of product saturate the senses like in street markets and modern malls. The architecture of Tlaquepaque mirrors that of the famous suburb of Guadalajara, Mexico. 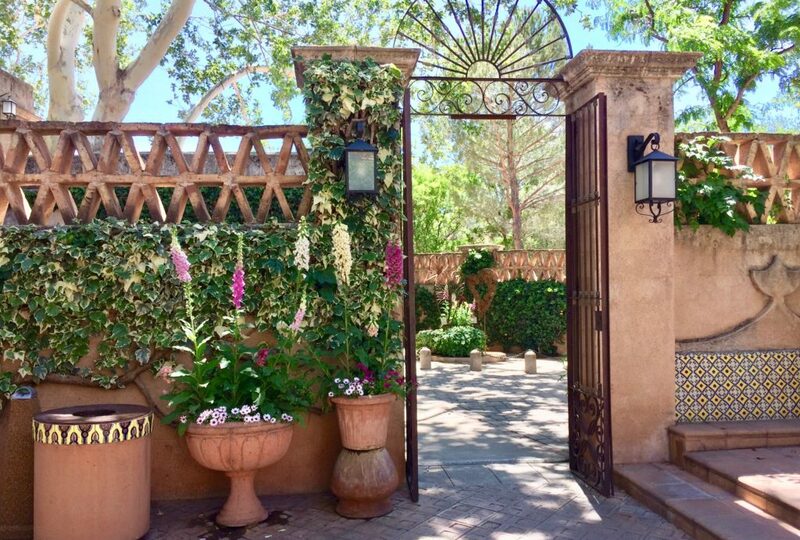 While construction in Sedona began as recently as 1971, the ambience suggests the ageless harmony of natural materials, mature trees, and sparkling fountains, all graced with a profusion of flowers. 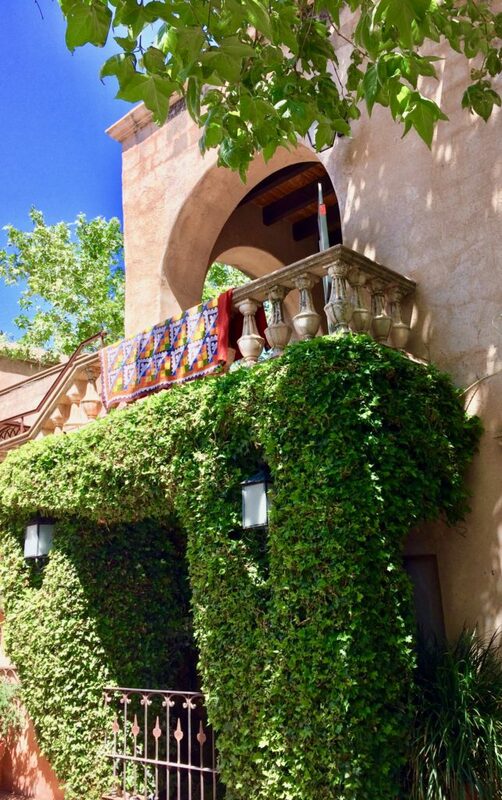 By city ordinance, Sedona has height and color restrictions for all its buildings. When you are walking or driving down the streets, everything is right there, so this quality isn’t particularly noticeable. But Sedona as seen from the Airport Vortex overview seems to disappear into the trees of the valley. It’s truly wonderful to be able to completely focus on the red rock mountains in the distance, with minimal interruption by a city of 10,000 residents. Of course, tourism accounts for more than double that number of people on any given day, all hidden by low roof-lines and foliage. Vacation mealtimes with a three-year old are tricky. As a species, they tend to be loud and fast. Translation: no restaurant really wants your patronage. We decided that eating on off-hours would minimize the impact on other guests. Los Rosales was close by, served excellent Mexican cuisine, and the staff were all very kind and helpful concerning our very young protégé–toys on the table, many napkins, and water served in hard-sided cups. Not only that, the rose garden out front was spectacular in May. Our hotel (Arroyo Pinyon) hosted an excellent complimentary breakfast that appealed to all three generations in our group. 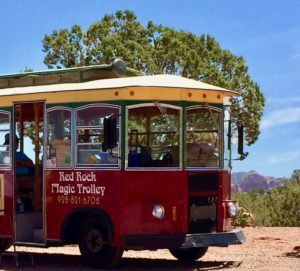 With little one’s tummy full of fresh waffles and yogurt, we took a trolley tour of Sedona and environs.There were no seat belts, but I held onto little-man’s waist so he could stand by the open window. On a May afternoon, the temperature was very warm, but still enjoyable. 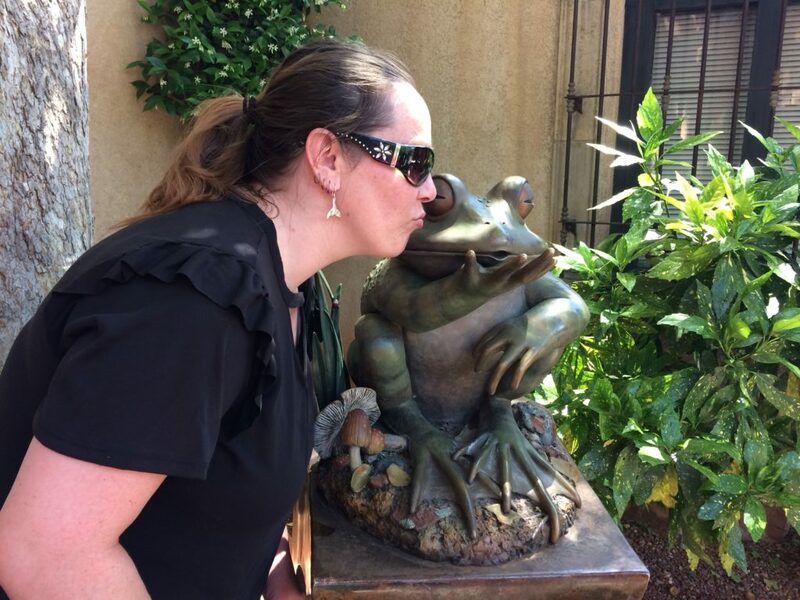 The guide/narrator for the tour, however, was not! I guess she’d had the job way too long, because she used a bored sing-song tone in a grossly fake local-yokel accent. 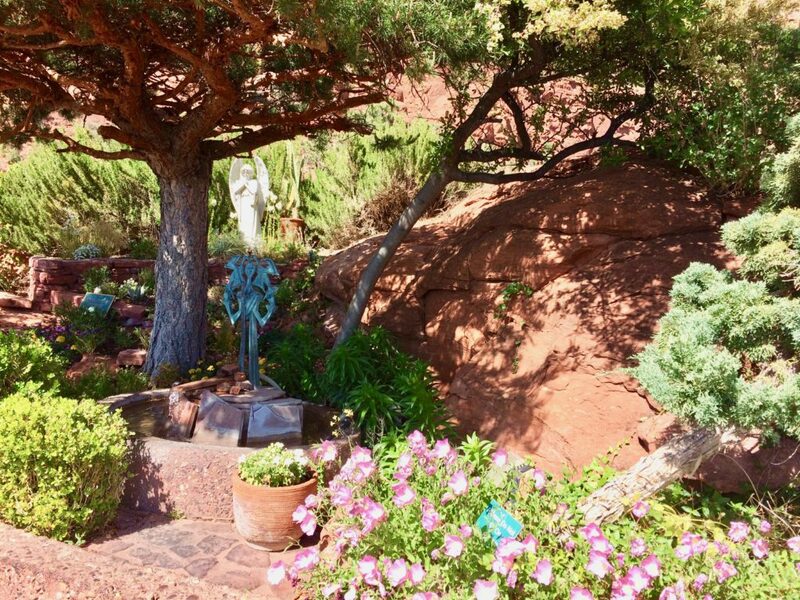 The geology, topography, and history of Sedona is rich in anomalies and events, but we got little of that from her. 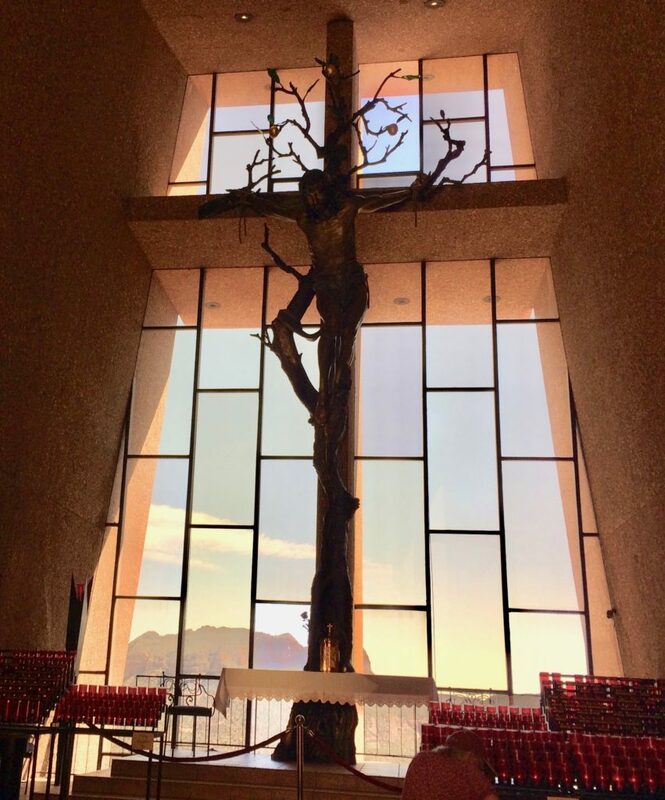 Our visit to Chapel of the Holy Cross happened late in the day, so it was very busy. I’d definitely recommend an earlier hour. 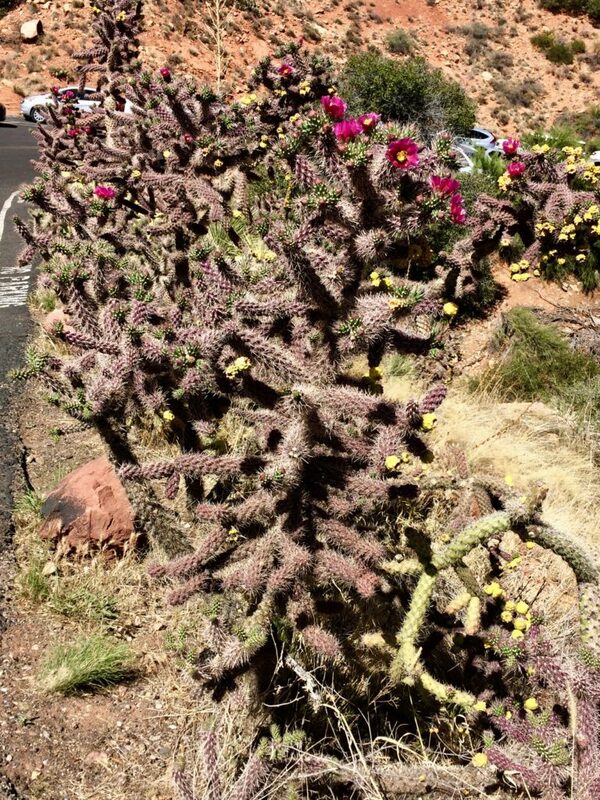 Our little man was interested in the cacti on the path, but the interior of a beautifully sited building doesn’t hold much cachet with the three and under crowd. Little-Man did not come with us on our early morning visit to the Airport vortex, so our hike to the top held no risk for anyone to jettison their body from the brink. So, I felt calm. Other visitors spoke quietly out of respect for the area. I turned toward sunlight from the east, face upward, hands outstretched, hopeful. Felt warmth on my face and the stretching of arm muscles. That was about it. Hiked down. 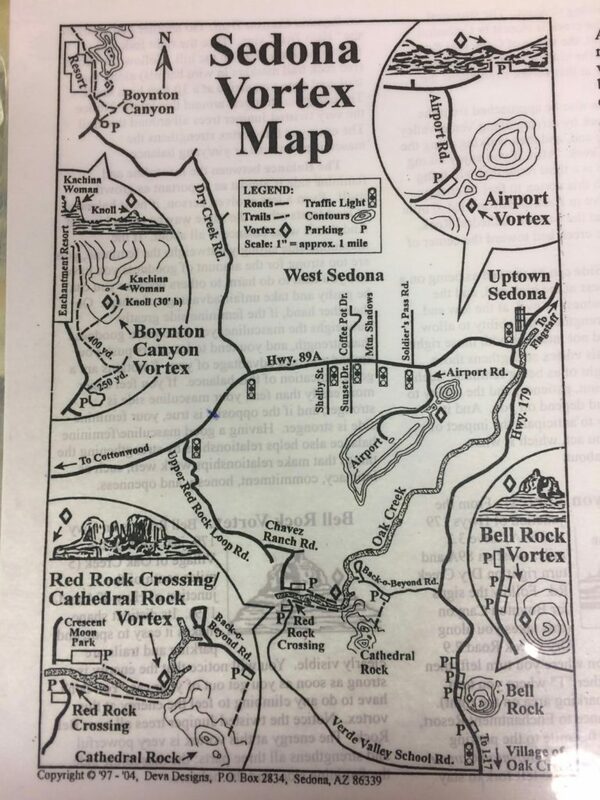 Here’s a site that describes Sedona’s vortex lore and another that takes vortex hunting into a world-wide phenomenon. If you wonder if there’s any science behind all of this, here’s a site that investigates the vortices found in air and fluids, and another that takes you well into the language of physics, if you’re so inclined. 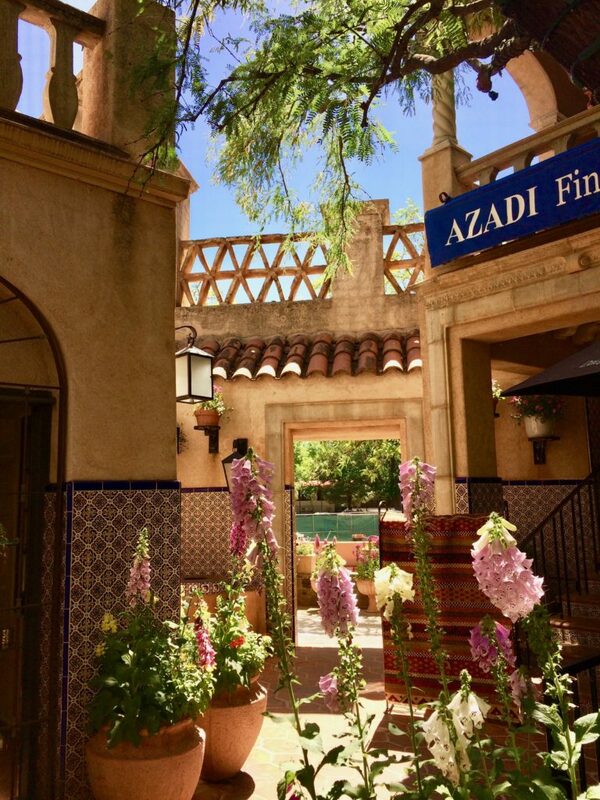 Maps like the one below can be had many places in town, as well as at the Visitors Center (331 Forest Rd, Sedona).